The international fashion house Tarik Ediz and its exciting collection of prom 2017 dresses is in stock now at Henri’s! Made in Istanbul, Turkey, Tarik Ediz dresses are designed with craftsmanship and tailoring in mind. Creatively combining feminine lace, pretty prints and rosette detail, extravagant embroidery, and touchable fabrics, this unique collection of prom dresses by Tarik Ediz are sure to please any girl going to prom this year. 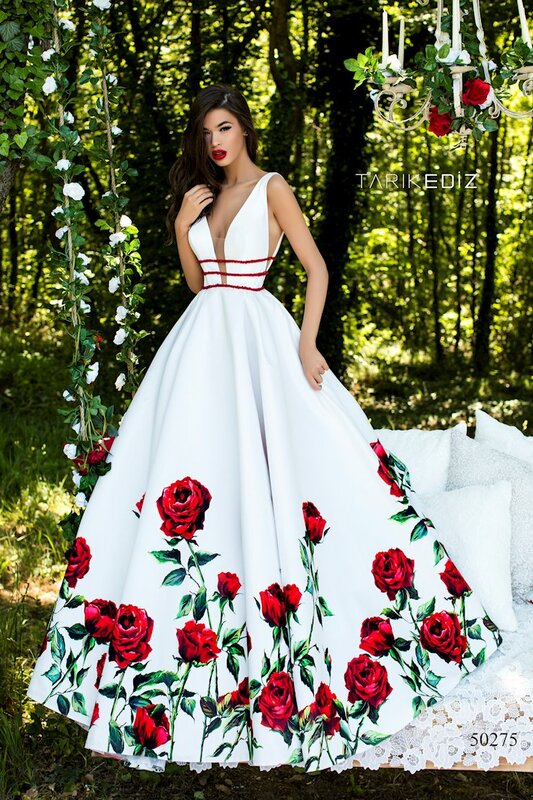 You can buy Tarik Ediz prom dresses online from henris.com or visit us today to try on your favorites, we ship these gorgeous gowns all over the world! For a fabulously feminine look at prom 2017, choose a gown from the Tarik Ediz prom dress collection available now at Henri’s!